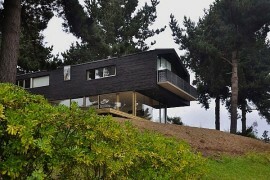 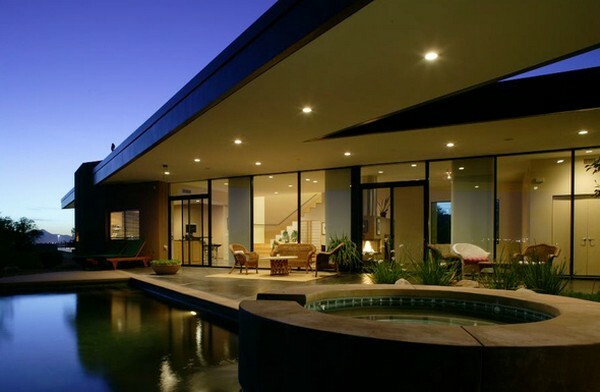 Offering unhindered views of a beautiful landscape is something that designers and modern homes are offering their residents more and more lately and if you do have a home either close to the ocean or a lovely forest area, then a top floor that is encased in floor-to-ceiling glass windows has become an almost mandatory sight. 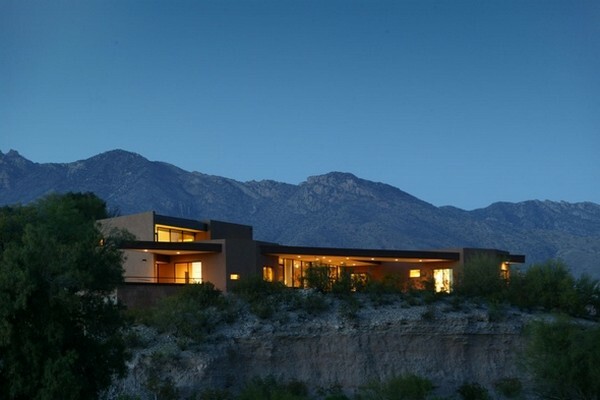 Located in Tucson, Arizona and nestled amidst unique desert landscape, the Riverfront Residence was designed by Taylor Design + BUILD to not just showcase the splendor of the surrounding landscape and blend in seamlessly, but also to maximize on resources and provide a relaxing and ‘cool’ home in the heart of a desert. 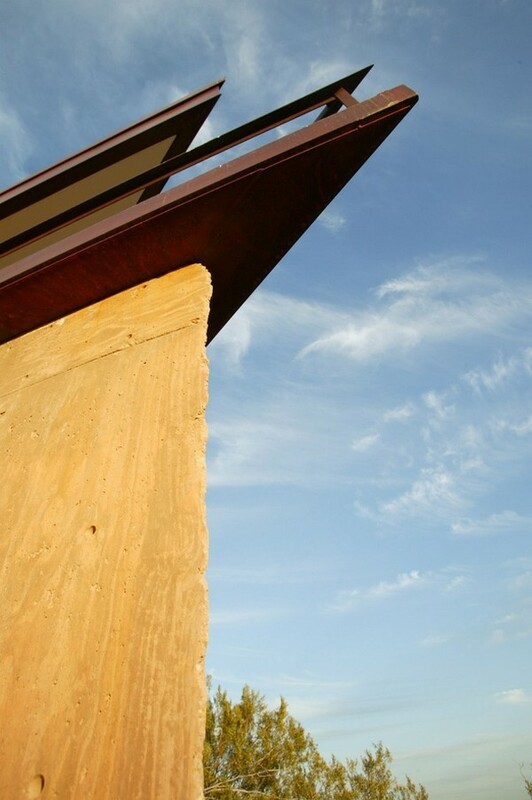 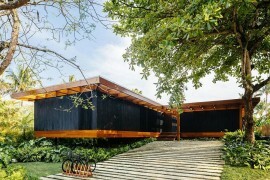 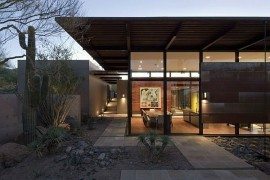 One of the most important aspects of the house is the way it relies on sustainable and green solutions such as green roof garden, spread of desert grasses and flowering plants, water harvesting system and smart roof shading to give its owners a naturally gorgeous and energy-efficient building. 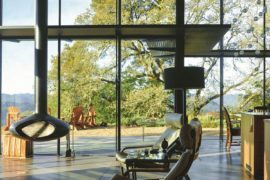 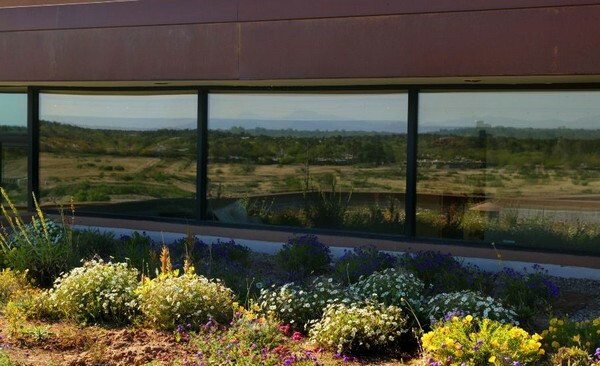 Glass is still used in an extensive, yet smart manner to ensure that the harsh weather conditions are kept out, but the beautiful views are welcomed with glee. 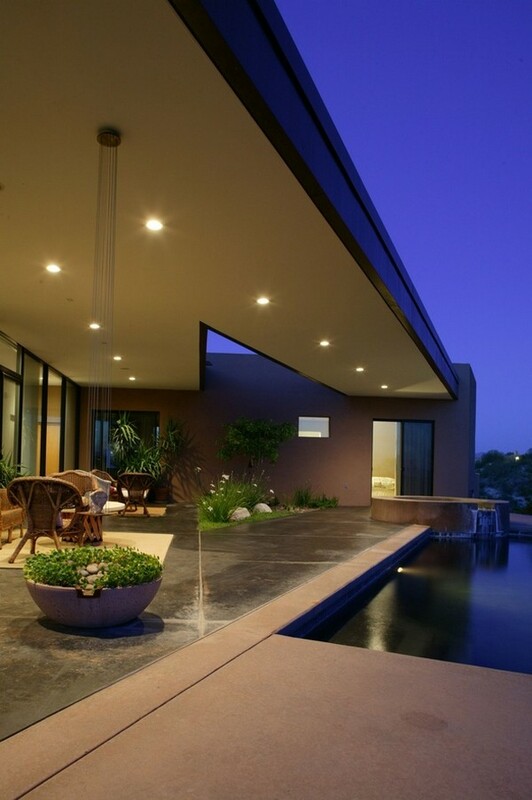 The shaded patio and the refreshing pool most likely will see busy action in the sultry evenings and the spacious interiors along with warm and ambient lighting make it a delightful modern oasis in the middle of a harsh natural setting. 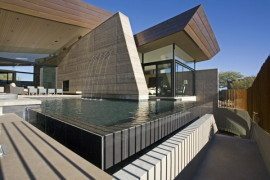 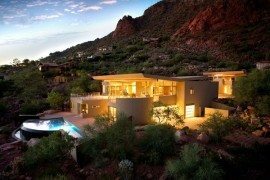 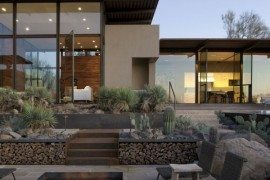 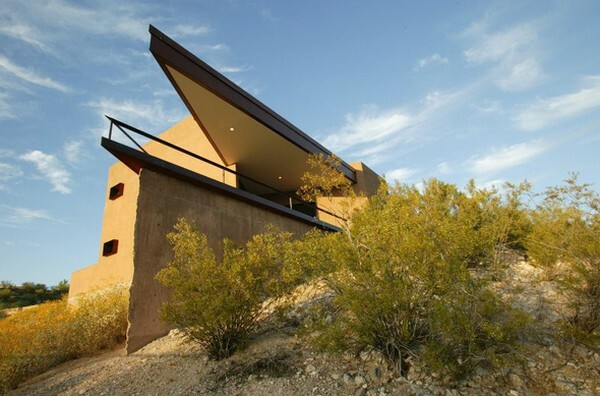 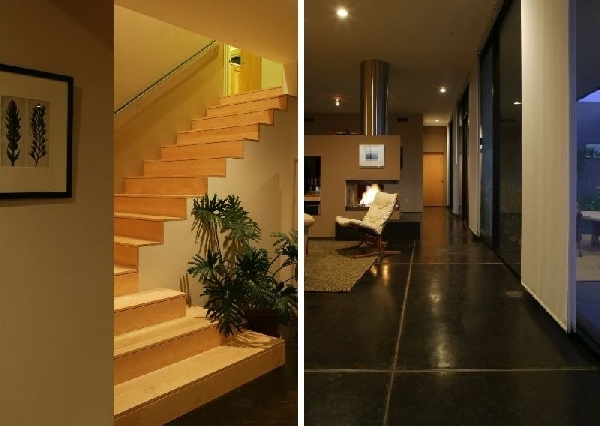 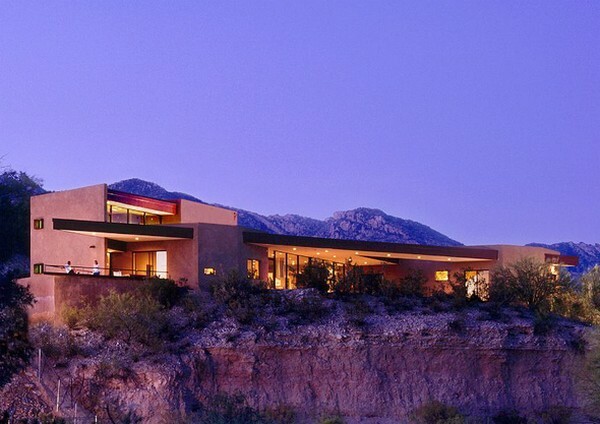 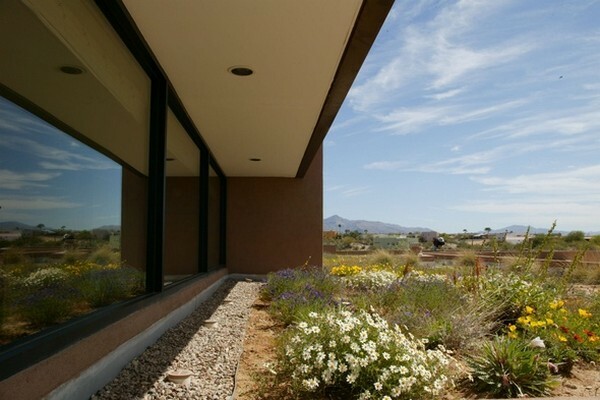 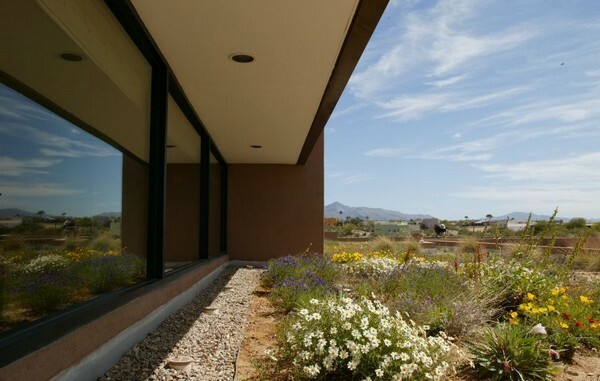 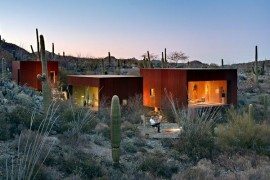 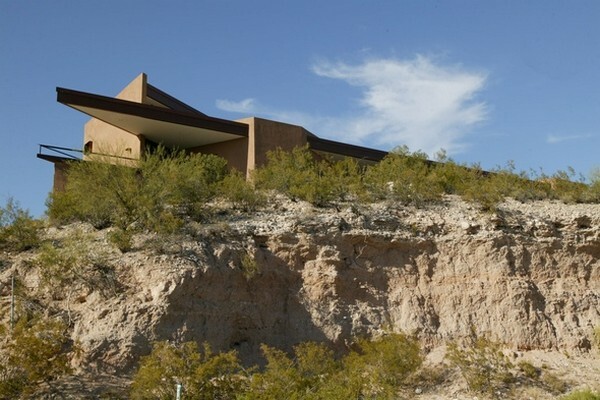 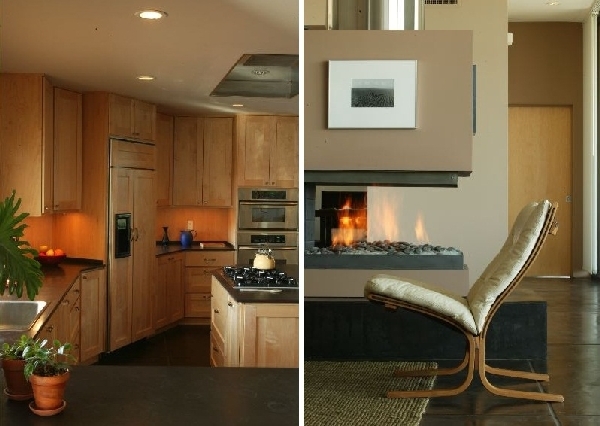 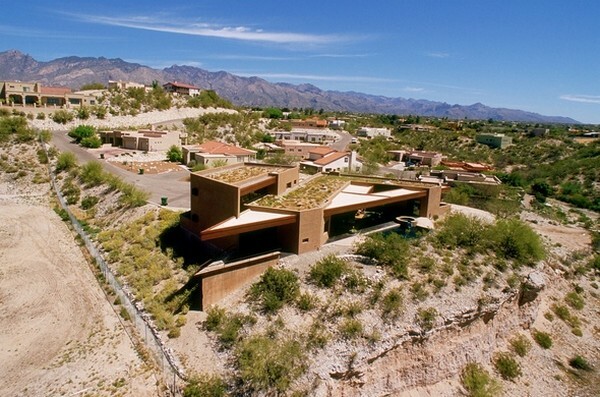 And you can see other amazing homes in Arizona: a really spacious home and a rather contemporary desert house.